Keith Kraus is a Senior Engineer of Applied Solutions Engineering at NVIDIA in the Washington, DC, area. 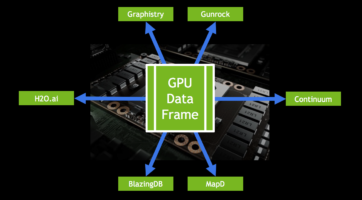 At NVIDIA, Keith's focus is on building GPU-accelerated solutions around data engineering, analytics, and visualization. Prior to working for NVIDIA, Keith did extensive data engineering, systems engineering, and data visualization work in the cybersecurity domain focused on building a GPU-accelerated big data solution for advanced threat detection and cyber-hunting capabilities. Keith graduated from Stevens Institute of Technology with a BEng in computer engineering and an MEng in networked information systems.